Hot off the press: Smeary Soapbox Press-ents #9! Thanks to D. Blake Werts’s fine Copy This! zine, I’ve had a renewed interest in making actual honest-to-goodness 8-page minicomics. 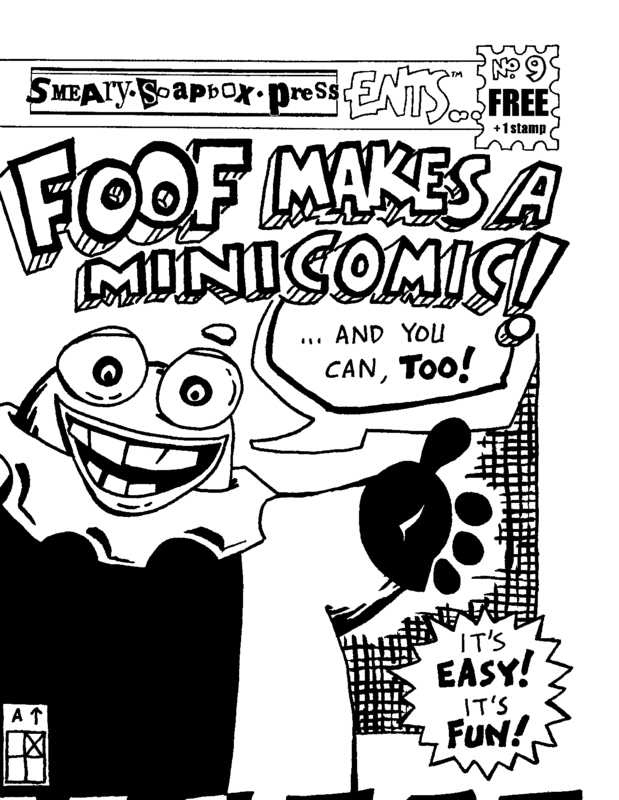 My first effort in that format in a really long time is Smeary Soapbox Press-ents #9: FooF makes a minicomic! I had always intended my Smeary Soapbox Press-ents minicomic series to be a mix of new & old issues, and this issue definitely falls on the “old” side of things: it’s a slightly revised version of a minicomic I first produced back in 1997 as a production primer for how to turn two letter-sized sheets into a minicomic. It’s certainly not meant as a drawing how-to lesson, but has still been a pretty useful giveaway at shows over the years, especially for FCBD. After six printings and hundreds of copies, it was due for an update, and now it has one! If you want your own copy, it’s easy: just send me a S.A.S.E. to the address in the footer of this page & I’ll send it back your way! Since I mentioned it earlier, I wanted to add a proper plug for Copy This! While Blake doesn’t have a website for his CT! zine, you can find out more about his “paperNet” of cartoonists by e-mail: bwerts (at) vnet.net. The most recent issue (#20) features a lengthy Q&A with Carrie McNinch, conducted by our pal Andy Nukes. Definitely worth the read! They came from the mailbox! It’s true! In the mail, with a stamp and everything! I’ve been going through my collection of minicomics lately, and found myself bemoaning the loss of the network of active self-publishers from the good ol’ days of the SPCE scene. Then, out of the blue, D. Blake Werts’ Copy This! #1 appeared in my mail, attempting to fill that very void. Needless to say, it really struck a chord with me! A high-quality 40-page mini, it kicks off with a Steve Willis essay and a long interview with Dan W. Taylor. 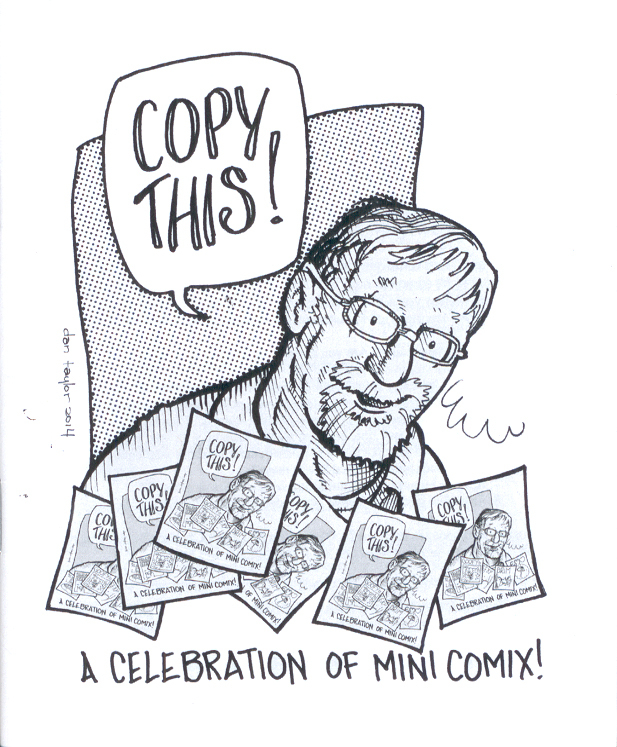 Its second half is filled with updates on a number of well known and new (to me, at least) minicomic creators, including Ed Bolman, Brad Foster, Andy Nukes, Rick Bradford, Matt Feazell, and more. Blake has a second issue in the works already and would love to have more cartoonists join his revived “paperNet”- you can contact him at bwerts (at) vnet.net to get an e-mail version of his questionnaire or just to find out more. You can also get a sample issue for $2 each; email Blake for mailing address. Coincidentally, Billy McKay, one of the artists slated for an update in Copy This! 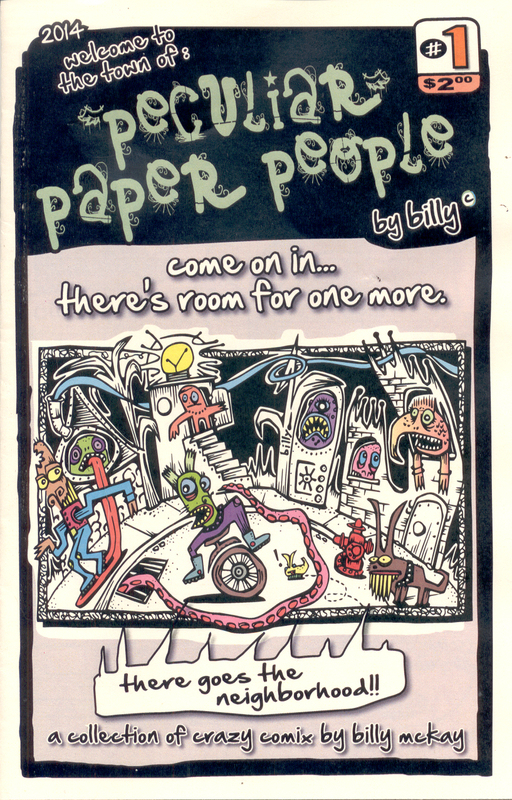 #2 just sent me his newest comic: Peculiar Paper People #1. It’s a beautifully-produced collection of Billy’s surreal stories, mixing newly-colored past work and brand new stories in a 16-page full-color digest. It has the same high production level Billy’s always brought to his work, even if it has less of a hand-crafted feel than many of his older comics. You can get if for just $2.00 from Billy’s etsy shop or from P.O. Box 542, N. Olmsted, OH 44070.